This product is one of the most unique disinfectants & deodorants of its kind. The blending of a phenol and a quaternary ammonium chloride allows this product to be classified as germicidal, fungicidal, staphylocidal, virucidal, tuberculocidal, pseudomonacidal. Kills HlV-1 (AlDS virus), TB, Influenza A2 England Virus and Herpes Simplex Virus I and II on environmental hard surfaces. 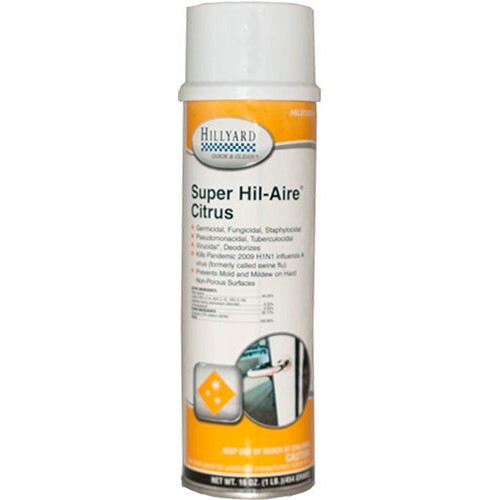 In addition, it is very effective to control mold and mildew on hard, nonporous surfaces. Excellent for hospital use.